Height: 6-9 Weight: 225Born: Sep 29, 1988 - Washington, District of ColumbiaCollege: TexasDraft: 2007 - 1st round (2nd pick) by the Seattle SuperSonicsThe NBA Rookie of the Year has almost come full circle. 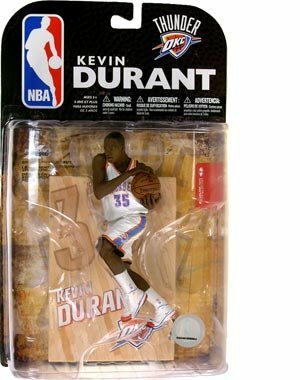 After a standout career at the University of Texas, Durant headed to Seattle as the second pick in the 2007 NBA Draft. Following his brilliant rookie season, the Sonics relocated, bringing Durant back to the Midwest as the face of the new Oklahoma City Thunder. NBA Houston Rockets Plush Doll, Red, 10"